So, today on IG I saw a small post liked by one of the people I follow in my activity feed. As I spend most of my time there anyway (instead of my homepage- don't ask) this wasn't anything new. What struck me though was the familiarity of the small picture forcing me to click on it and be reintroduced to an artist I fell in love with in college. 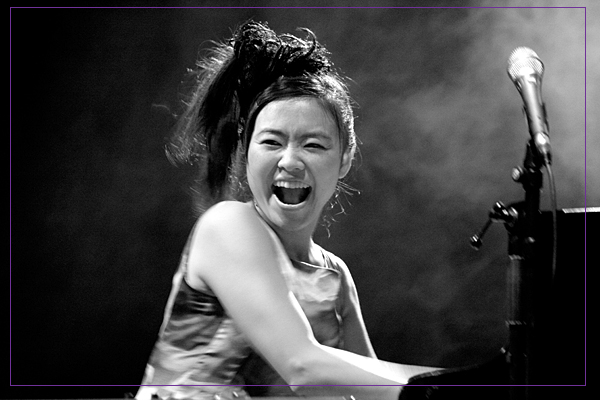 Not very popular amongst my peers, Hiromi Uehara is a Japanese jazz influenced pianist who is easily one of my all time favorites. I remember hearing her play with Chick Corea for the first time and literally feeling like my heart was about to run out of my chest. It's just astounding the way she executes. She's known for her hippy looks, and captivating live performances, so beautiful at times that they even move her to tears! If you love music- you should listen to and watch this from start to finish. Even if this "isn't your thing" just let yourself listen. She's amazing. So thankful to JR for the reminder.